After a weird stealth delay from last year’s supposed release, SOEDESCO had given a statement that 8-Bit Armies will finally be coming to the PlayStation 4 this year. This action-strategy game will be available in both physical and digital forms. The game has been developed by Petroglyph, veterans of the genre and are those who made the Command & Conquer series. 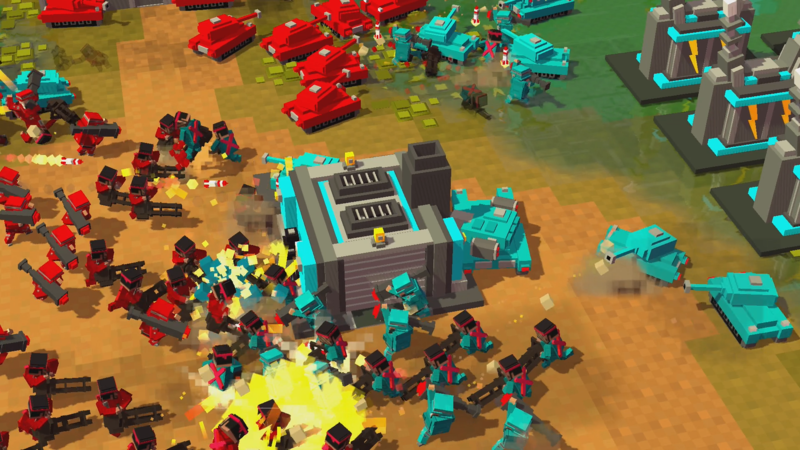 8-Bit Armies is a masterful tribute to all the classic RTS games out there. The game will certainly please existing fans of the genre, and will be a welcome game to those just entering the stage. 8BA will feature colourful blocky voxel art style for a wacky yet strategy-filled experience. The game is also accented with an all-original soundtrack for Command & Conquer composer Frank Klepacki. Existing fans might notice some similarities and reminisce about tracks that sound like the greatest hits from the previous Westwood RTS games. In terms of controls, 8-Bit Armies will be using a simplified control scheme. This allows players to have total control of the hundreds of units on the battlefield. Players can easily collect resources and build up their bases. They can also amass their armies fairly quickly, and will be able to research superweapons to allow a devastating victory over their enemies. 8-Bit Armies will be available on September 21, 2018 on the PlayStation 4.